On October 8, Centennial Golf had an incredibly successful day at the District Golf Championship. 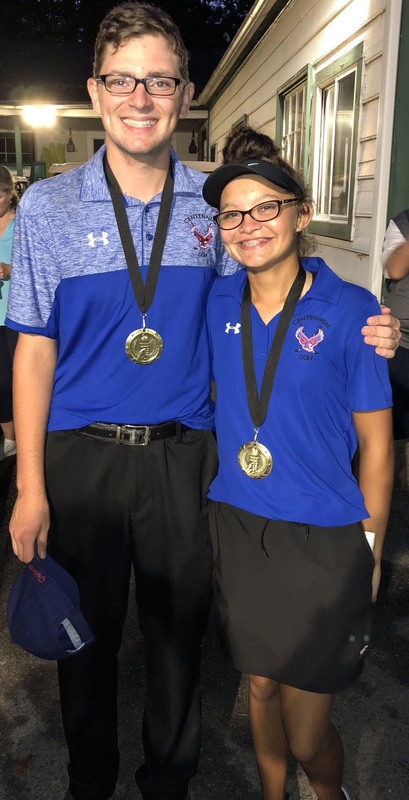 Kenny Chaplain and Morgan Taylor placed in the recent tournament. Taylor placed third in the girl’s division, while Chaplain placed fifth in boys. The entire golf team also claimed the fourth place in the tournament, and is now qualified for states in Maryland. Chaplain and Taylor provided insight on how they felt about the tournament, and how they plan to prepare for states. Chaplain also talked about their preparation for states. Taylor is also practicing in a similar fashion. “I’m excited to play in states because it will be my first time… I think I am prepared enough mentally and physically to put up a good score,” she said. The State Golf Tournament in Maryland is scheduled to begin on Monday, October 22, and end on Wednesday, October 24, 2018.